Tonight there is a blue moon--meaning there is a full moon for the second in the same month. This could differ depending on your time zone but here in the US, it's tonight. According to the farmer's almanac, it is an extra moon in a season or four moons rather than three for a season. I knew this was a rarity but how rare I wasn't sure. So I decided to play detective and investigate. After a little research, I found out that a blue moon occurs about every two and a half years and statically, almost always in a month that has 31 days. Not so rare that it only occurred once in a lifetime but still worth a discussion. My research also veered toward superstitions. 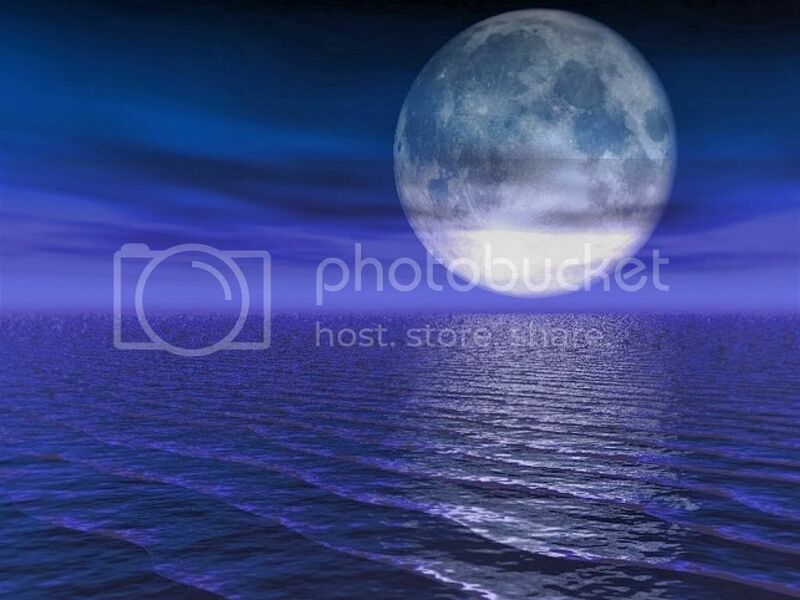 It is believed the blue moon holds magical powers where if you plan a goal under the blue moon then it will come true. As with anything magical, your wishful goal shouldn't be taken lightly. Your goals should be worded with precision so interpretations cannot be skewed. I've come up with a few goals for myself. This includes publishing my book and watching it become a New York Times bestseller! Hey, I dream big. Others are a bit smaller, more immediate, and practical like repainting the bathroom, scraping up the grass under my deck to put down river stones, and helping my twins attain their goal to master riding their bikes without training wheels. I also want health and happiness for my entire family. Some of that plan is a little fuzzy but I know some areas to start on. One deals with my oldest daughter. It's no secret that I write with bullying and prejudices in mind and every story contains these underlying messages against them. This stems from my daughter. She is both mentally and physically delayed and looking out for her best needs is a daily occurrence. I am the kind of person who would speak up for not only my daughter but anyone who is treated badly or wronged. I don't jump to conclusions and listen to both sides, diplomatically, but in the end, I would stick up for the underprivileged, the young, and those who don't know they are being picked on...those like my daughter. She has reached an age where she, her parents, and school are struggling to find her a job. She won't go to college but she still has a lot to offer the world and the stubborn drive to accomplish it. Finding the right job based on her abilities has been challenging. She has worked several internships over the past three years and has gained skills at each, but we live in a small rural community where vast, welcoming businesses just aren't here. There are a few though and even with no guarantee that they will hire her, it is my hope, my plan, my wish against the blue moon that they will. Sorry if I'm getting this out a little late in your day. I know some of you may even have the sun rising now. But whether you made your plans on the blue moon or hadn't, I'd love to read a comment on your hopes, dreams, and plans for the future. Recently, I had the opportunity to interview Monica M. Brinkman. She is an author extraordinaire and radio host amongst other things. Here you'll read as she shares insightful views from her book and about life that I feel is inspiring and true. Please help me give a warm welcome to Monica! Tell us about yourself, where you from are and what else you do. Originally, from the East Coast, I moved to the California Bay Area for 30 years and now settled in the Midwest, St. Louis MO area. My life has been full of excitement and adventure, from acting, singing telegrams, painting in oil and acrylic, poetry writing, management and now taking the plunge, writing novels, articles and short stories. I also host a weekly internet live talk radio show called, It Matters, which airs every Thursday evening at 9PM EST and write two columns for the Authorsinfo Readers and Writers site. In addition, I am involved in animal rights, human rights and environmental activism, many times using my articles and short stories to open people’s eyes and minds so they can make informed decisions in life. Married for 29 years to Richard Brinkman, we opened our hearts and home to five cats and two dogs who have become member of our family. What is the title of your novel and tell us in three sentences or less what it is about. Enter into the small college town of Raleigh, MO, where Universal Law (Karma) has prevailed. Decisions, acts, deeds, life choices of the prominent, rich and the working-class spiritual citizens revealed for all to see. Judgment day has arrived. Tell us about one or two of your characters. Angela Frank, psychologist, wife, mother of young twin girls, has suppressed and denied her psychic abilities for years. When they resurface, she finds herself unable to hide from the music, visions and messages growing with intensity. Joshua Allen, tall, extremely handsome, vain, vulgar and self-absorbed works within the financial industry, using his resources for profit and personal gain at the cost of his clients’investments. He mocks the poor, the starving, and the needy until he finds himself helpless, friendless, and agonizing over the acts, deeds and choices he has made in life. What message are you trying tell your readers in your novel? My main message is for people to take responsibility for the choices they have made in their own lives. Life is not always as it seems and each act or deed we perform has a domino effect upon not only our lives but the lives of many others. I also wished to give the readers who have given so much to the world, validation and assurance that their actions hold great purpose and meaning. For they are the people who give us hope, belief and faith in mankind. First, believe in yourself and be true to your own style of writing. It makes you unique and is really the only way you can be creative. If you try to copy someone else or write of what you feel little passion, it will show. Be true to yourself. Secondly, and this is by far on the top list of guidance, show gratitude and thanks to those who will assist you in both writing and promotional endeavors. If you reciprocate and give back to those who help you, many long-term relationships and friendship will ensue. Take the time to share others work, services, and ventures as they have shared yours. This important act of professionalism, common courtesy and gratitude will bring you many unexpected opportunities and surprises. Name some of your favorite books or authors. With so many, this is a difficult question but here is my top list. 2. The Stand by Stephen King – one of my all time favorites, shows humanity at its worst and at its best. I’ve probably read this novel ten times, gaining more from it each reading. 3. What Is Normal by Ginny Scales-Medeiros – No one will ever feel sorry for their lot in life after reading this fact-based fiction novel. What this woman has endured, and overcome, in her life is truly amazing. Yet she never feels pity for herself, instead brings inspiration, understanding and encouragement to those who face discouraging circumstances in their own lives. 4. Flashing My Shorts, 200 Shorts by Salvatore Buttaci are two examples of entertaining, short stories of life. So diversified are his characters and tales, everyone will go the full gauntlet of emotions as he takes you into the human factor. 5. I can’t help but mention The Healings by Oana – who else has the creativity and courage to make one of the two main characters a cat or the other nameless? And it works. Quite an accomplishment in my eyes. Then there is Kenneth Weene who weaves psychological novels such as Memoirs From the Asylum or takes us into the empty life of the widowed Mary in Widows Walk. Tell us about your other published stories or novels? Or perhaps, do you have something else in the works that you’d like to share. Thank you for asking this question. I am presently editing the sequel in my two part Karmic Wheel series called The Wheels Final Turn. It takes us to Sacramento, CA and will bring finality to the characters mission. Politics, animal abuse, greed and bigotry are explored, revealed and scrutinized. The future of mankind will be altered by the characters choices and actions. I also contributed to a book by Stacy Juba, 25 Years in the Rearview Mirror: 52 Authors Look Back. This is a wonderful memoir of experiences and stories as the authors look at what they were doing, writing or experiencing 25 Years Ago. It is in the vein of Chicken Soup for the Soul and I am so proud to be part of this fine group of writers. Share with us the sites that we can stalk you on? Thank you Monica for joining us! Urban Fantasy and Paranormal Romance Writer * Wife, Mother of 4 wonderful children. Follow Lisa's board Stories I wrote on Pinterest.